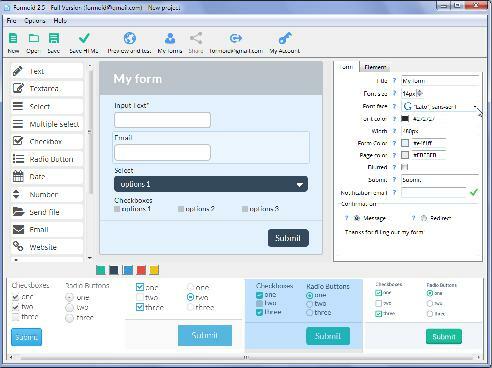 Formoid is a free desktop app that helps you easily create html5 form validation, contact us form, web form design, css form and more in a few seconds without writing a single line of code. Create wonderful online forms in just a few clicks. Actually… I use Email Me Form website for create my Forms… But I like your software. I'm a teacher for many places in Montreal, Québec. I speak on your product in my multiple class. It's a very good software and easier to learn ! A: Thank you for your interest in our product. We appreciate it.